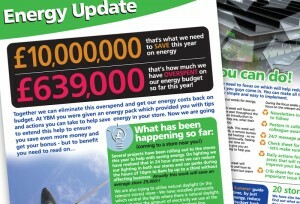 Use your newsletter to raise awareness of important issues which affect the efficiency of your work force or your company’s profits! That’s exactly what this latest news update was all about – tackling the subject head on. 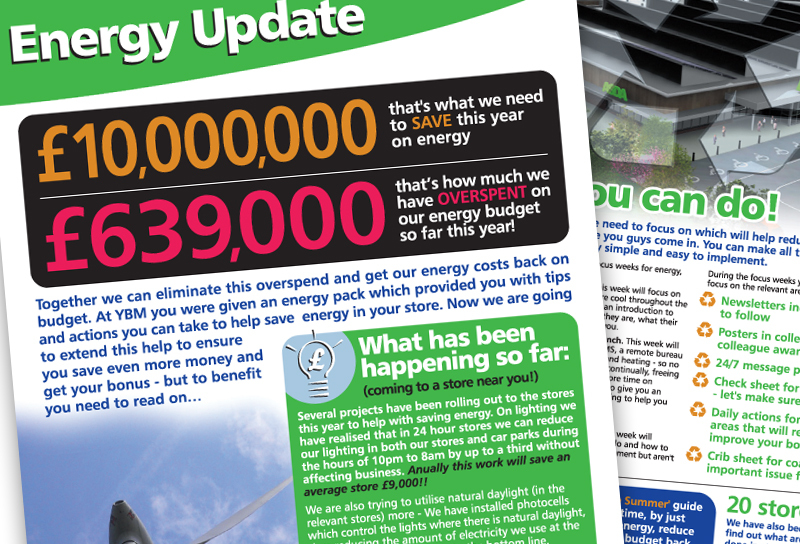 Following all current branding guidelines, our designers quickly produced a newsletter which is full of information and statistics, with lots of ideas on saving energy. It fit the brief nicely and was completed on time and within budget.